"Arrived At The Agreed Time, Pleasant Professional And Efficient Tradesmen, Left The Bathroom Clean And Tidy." "Was Very Pleased With The Job That Was Done Would Use Them Again"
"Turned Up,On Time, Did A Lovely Clean Job At A Reasonable Price.Couldnt Ask For Better"
"Fitted The Cameras Exactly Where They Were Required And All Working Perfectly." 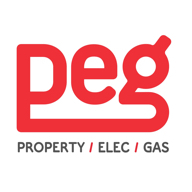 Need a Plumber, Heating Engineer or Electrician in St. Helens?